Retrofitting insulation in a pre-engineered metal building can be accomplished using a few different methods. This shows insulation added from the inside of the building. 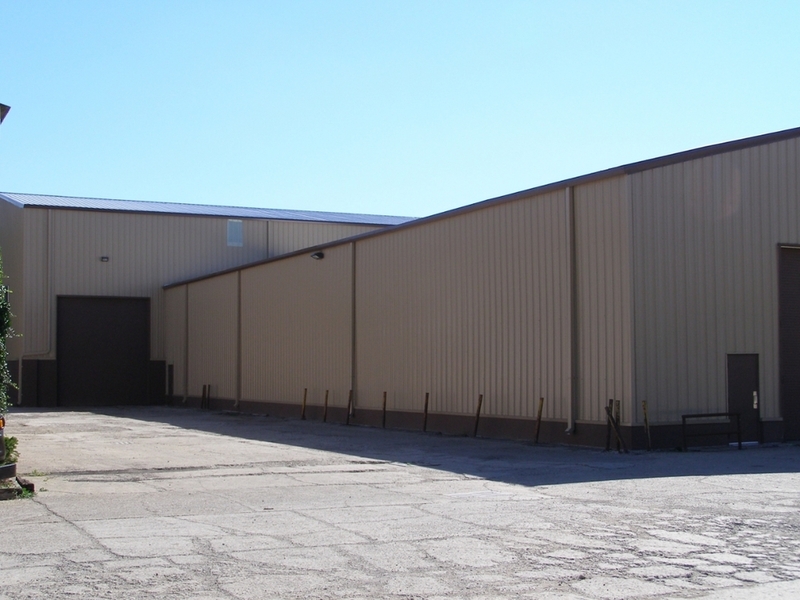 Completed, the above pre-engineered metal building renovated. Metal roof, walls, doors, trim, and insulation replaced. 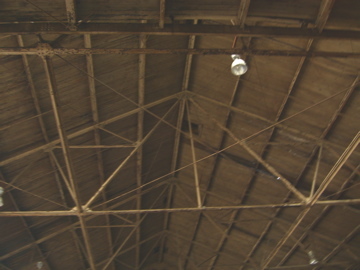 Above, before the start of the metal building renovation. The steel had seen better days. Notice, at the completion of the renovation below, the brick columns have been removed, man doors and overhead doors installed, and the roof tier has been removed so the new metal roof is all on the same plane. 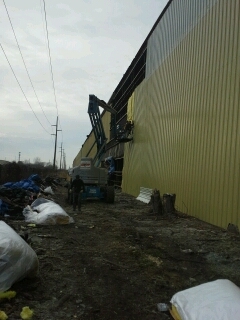 During the industrial metal building renovation process. The owner purchased this building to relocate his operation into it. To expedite the renovation we striped it to its structure and rebuilt it. At completion it was as if it was a new building. 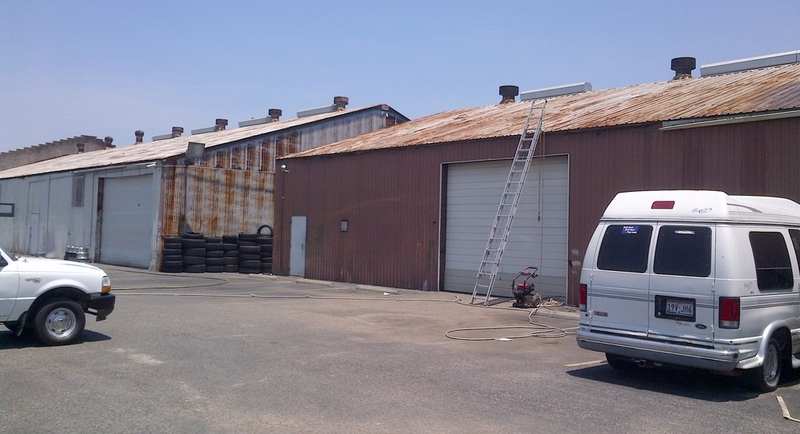 Before the metal building renovation, there was a gap between these two metal buildings. The buildings were connected and renovated. During the metal building renovation there was not a disruption in business. A very strong wind storm, just outside the windy city, blew off the wall panels that had been installed on this facility. After the metal renovation. The cinder blocks and the end of the walls were cut to provide a clean finish and a 20 tear maintenance free roof. After renovation, this is a result of a new metal roof with new insulation, the new insulation help bounce the light. The interior steel structure was also primed and painted. Above, after the wall panels had been removed. The top 10ft. of the 40ft wall was cleared. Translucent panels were installed in this area. For the rest of the wall new wall panels were installed.